Clinical introduction A 77-year-old man presented to the ED with a history of fevers, purulent drainage and right mandibular pain. He had been diagnosed with multiple myeloma 2 years previously and was receiving treatment with pamidronate. On presentation, the lower right lip and chin were anaesthetic, tooth number 31 had grade 2 mobility and a 15 mm long ulceration was present on the lingual aspect of the mandible (figure 1). Antibiotics were administered, and a maxillofacial CT without contrast was performed (figure 2). 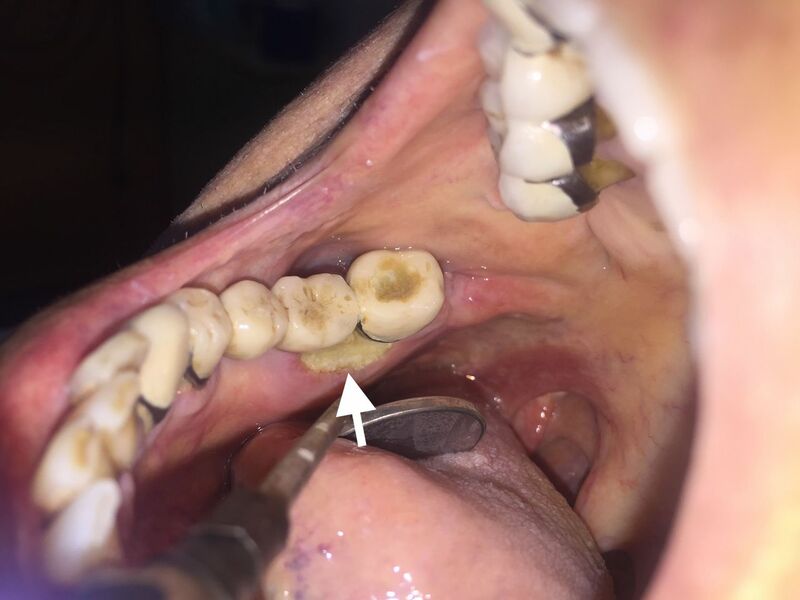 Clinical examination revealing a 15 mm long ulceration (arrow mark) associated with the lingual aspect of tooth number 31. 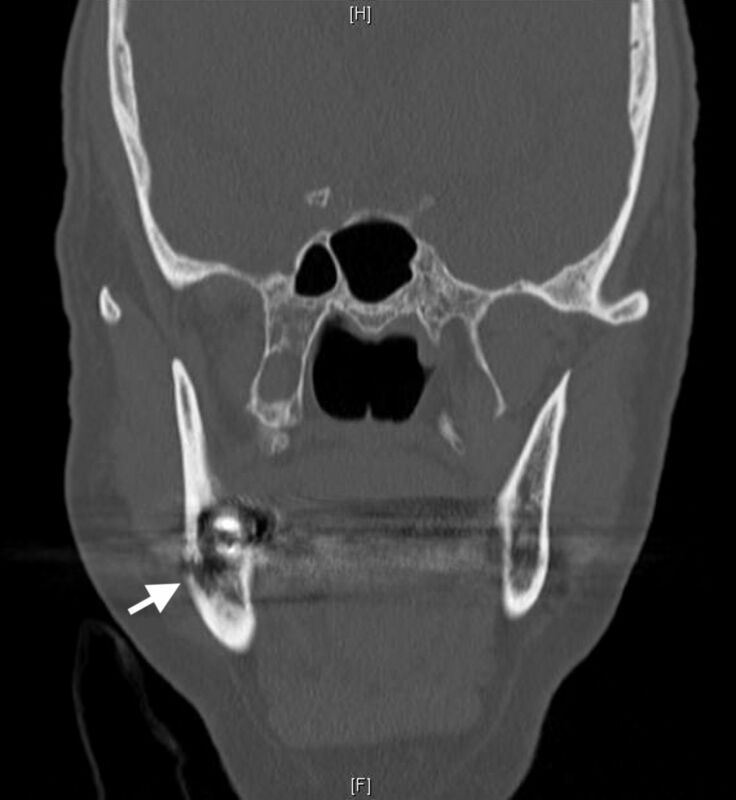 CT maxillofacial (coronal) demonstrating osseous destruction (arrow mark) of the right mandibular body. Question What is your diagnosis?